Zion National Park is one north America’s premiere locations for rock climbing. 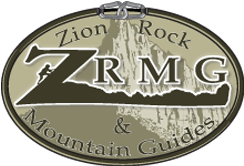 At Zion you’ll find over 100 different climbing routes and Zion Rock and Mountain Guides is a great company to work with as you plan your rock climbing adventure. For the novice or expert we can provide instruction on how to safely climb the sandstone formations of the Zion National Park region or can also provide valuable information on which routes are best for your group. We offer guide service for rock climbing routes outside of Zion National Park and provide rock climbing experiences for climbers of all levels. We take our clients to some of the most scenic locations in the region to experience rock climbing. Book-mark our blog and come back regularly as we post information on rock climbing, jeep tours, canyoneering, mountain biking and other adventures that we offer in the Zion National Park area.